Rohingya children are at risk of becoming a “lost generation”, according to UNICEF. MOAS supports the concerns expressed by UNICEF Bangladesh. From the beginning of our mission in Southeast Asia to help the Rohingya community fleeing violence and persecution in Myanmar, MOAS has unceasingly highlighted how the inaction of the international community is especially dangerous for women and children. Between October and June, our Aid Stations treated almost 69,000 patients, including 43% children and 41% women and girls. Among children, a very high percentage (54%) was aged between 2 and 12, confirming that children are also the biggest group of the persecuted Rohingya community. These figures also prove that children are in urgent of medical assistance. One year later, we should urgently take long-term, constructive actions. Rohingya children have already lost their right to a decent childhood, they have almost no education and are constantly exposed to the risks of human trafficking, sexual exploitation and forced labour. How can Rohingya children satisfy their vital needs, if nobody takes care of them? How will their future look like with no education, family and alternatives? At the very beginning of the Rohingya exodus, many children got lost in Bangladeshi camps amid the chaos and the building of new shelters. Immediately, centres were created to reunite children who got lost with their parents. Everybody was alerted, but it wasn’t enough to protect them from dangers like human traffickers. The monsoon is currently posing new challenges. At the end of July, 463 mm of rain has fallen in the area of Cox’s Bazar, affecting at least 4,000 children in such a fragile scenario. Additionally, the lack of funds only make the situation worse. All humanitarian organisations on the ground blame the egoism and blindness of the international community. But, now it’s time to take action. 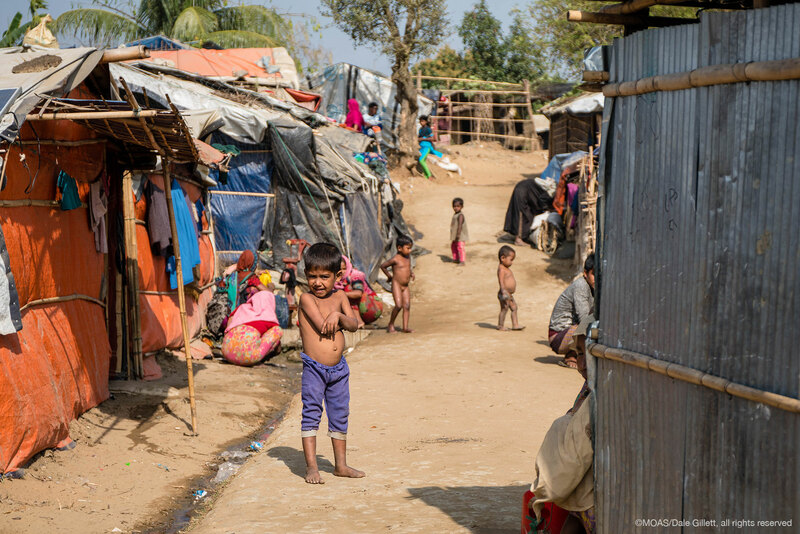 We can’t turn a blind eye to the future of Rohingya children in Bangladesh. If we ignore the future of entire generations of children, we ignore the future of the entire humankind.